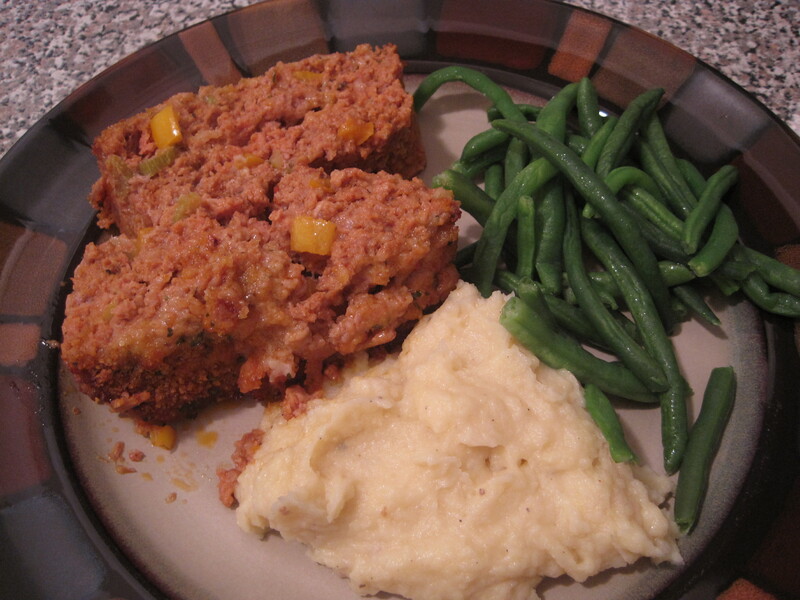 Meatloaf … One of the best Fall season comfort foods. Serve with a side of homemade mashed potatoes and green beans and you’re sure to have a great meal. Even better meatloaf is so easy to pre-make and bake up later in the week or even the month if you properly freeze the loaf. *Take notice that Stop & Shop has in the meat section a packaged ground beef specifically for meatloaf. Most other markets should have the same. *Depending on how thick you want your meatloaf you could use one or two packages – I used one and as you can see my meatloaf does not reach the top of the pan. – Preheat the oven to 375 degrees. 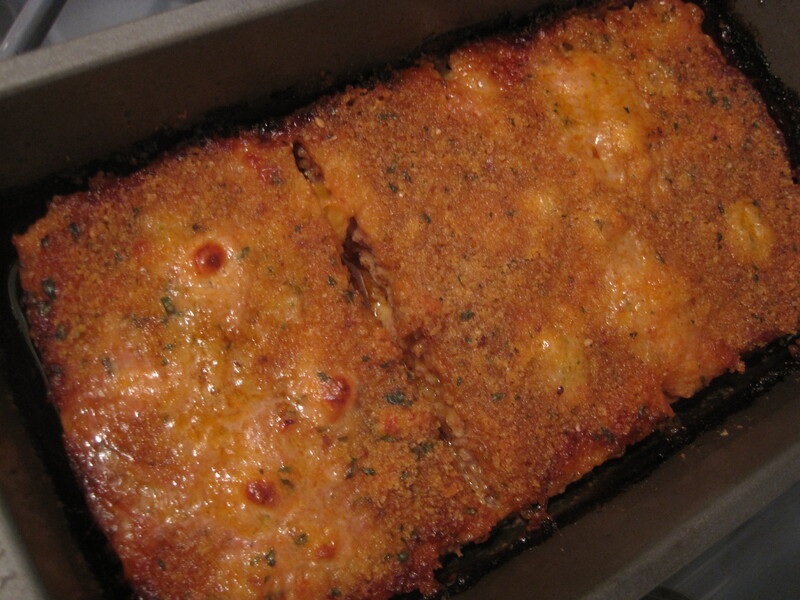 – Prep the baking pan by greasing the sides with cooking spray or olive oil. 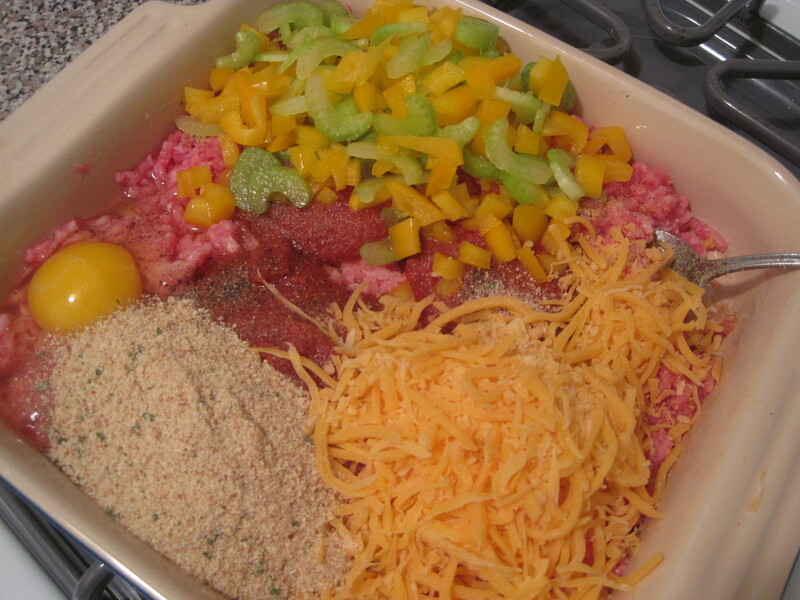 – In one container combine the ground meat, tomato paste, eggs, yellow pepper, and celery along with 3 tablespoons of breadcrumbs and 1 cup of cheese. 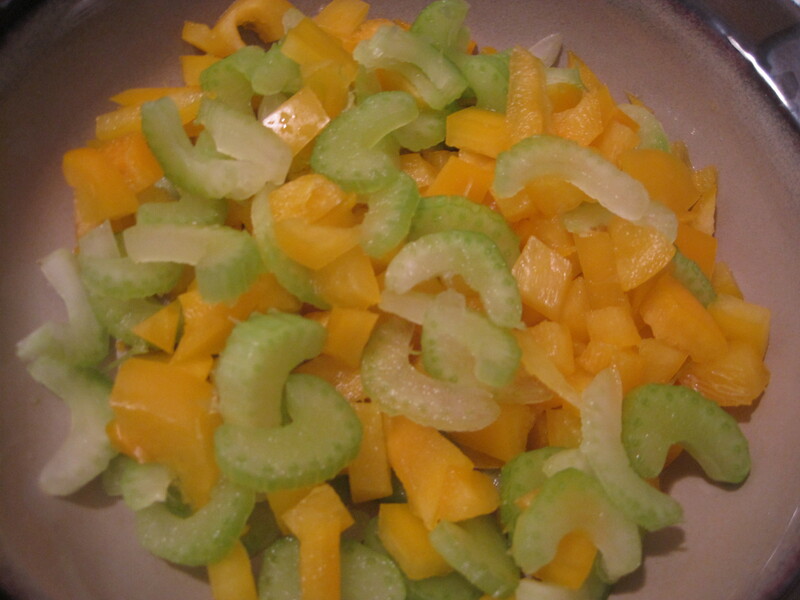 – Sprinkle salt, pepper and garlic powder into the mixture. – Combine all till mixed well. 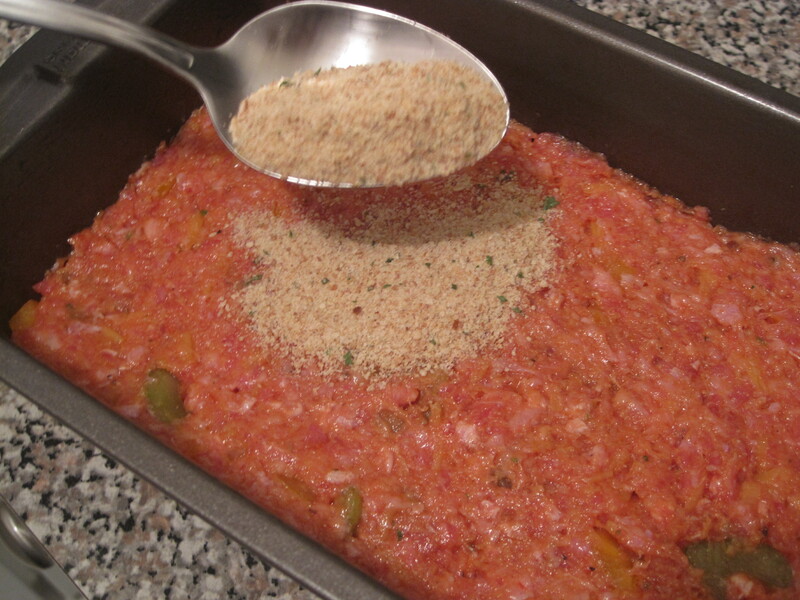 – Place mixture into the baking dish and smooth out the top. 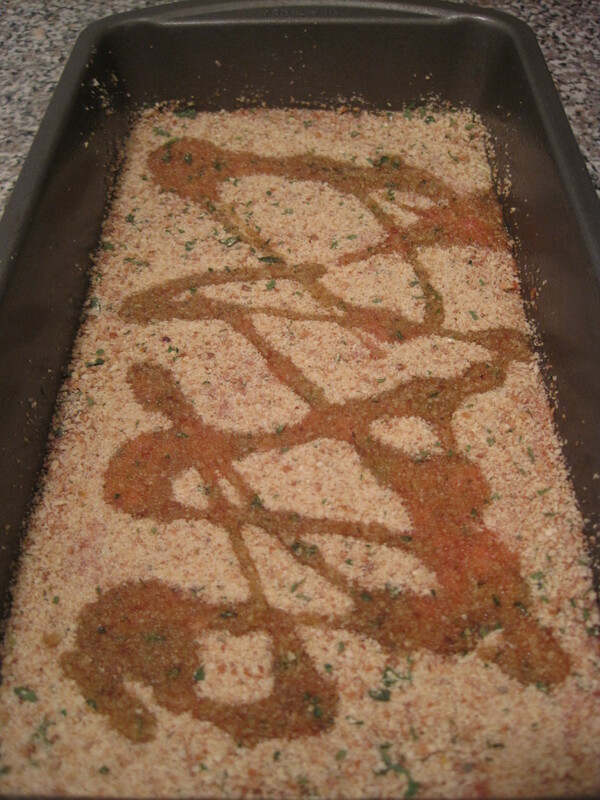 – Sprinkle another couple tablespoons of the breadcrumbs on top of the loaf and spread out till all is evenly coated. – Drizzle some olive oil on top. – Bake the loaf for 45 minutes or so until cooked through. *You can always swap out the veggies I used for carrots, mushrooms or even zucchini and if cheddar isn’t your thing use mozzarella or jack cheese instead. *Remember leftover meatloaf is great for sandwiches slice up thin and throw it on some toasted bread with lettuce tomato and mayo! © Cookery for Two – 2011 . Unauthorized use and/or duplication of this material without express and written permission from this blog’s author and/or owner is strictly prohibited. Excerpts and links may be used, provided that full and clear credit is given to Cookery for Two with appropriate and specific direction to the original content.